What Do You Need To Cut From Your Ministry? One perk of leading a ministry focused exclusively on making disciples of college students is the ability to hone in on what will most effectively reach, train and send students. If it doesn’t fit into one of those three categories, your response is simple—don’t do it. In fact, take it further: if it doesn’t effectively accomplish one of these three goals, don’t do it. If you notice you are constantly pressed for time, I would encourage you to ruthlessly evaluate all of your ministry programs. Pick up the calendar and axe and hack. Ask hard questions as a leader and as a team about how effective each program is in helping you multiply disciples. One thing we discovered is that a process of intentional, relational, and reproducible disciple-making takes care of 90% of strategic ministry needs. We are working to create a “downline” of students who are discipling students who are discipling other students. Equipping and unleashing student leaders to make disciples is the secret weapon of every college ministry that is consistently seeing students come to Christ and multiply. I can sleep at night when I know more experienced believers are personally investing in younger believers because they are getting the encouragement and help they need. Knowing students are getting custom training in their walks with God helps me feel less of an urge to start a new program, class or training meeting for every specific need that comes up. It also helps our leaders grow as they encounter questions and issues they have never helped anyone with before. One faith goal we have is that a freshman student who is committed and faithful to the training we offer them will be able to lead one person to Christ and start discipling them by the fall semester of their sophomore year. This is not a side project of our ministry, it is the driving force behind our entire ministry structure. We discovered if we can help a student begin leading others to Christ and discipling people, the chances of them becoming a lifetime kingdom contributor exponentially increase. Once they catch the “discipleship bug,” they will be hooked and will never want to settle for a life that is not leveraged for Christ’s mission. You will guard your time well by leveraging the existing vehicles to accomplish your goals, rather than creating, staffing, branding, promoting, implementing, evaluating, tweaking, evaluating again, and culturally assimilating new programs and events. Did that feel like a long sentence? Good. Feel that weight, because it’s an even longer process to do it well. Use the ministry vehicles you already have to accomplish what you are on mission to do. Take evangelism training as an example. Evangelism training courses can be great—but what we have discovered is if we integrate evangelism training into our personal disciple-making process, more people receive the training in a way that actually equips them to do evangelism in the course of everyday life. It works the same way with gender-specific issues. There are entire programs you could run to minister to men and to women around issues of sexual purity, etc. Rather than creating new vehicles of ministry, we have chosen to equip our men with tools to invest in younger men on key issues they face, and to train upperclasswomen to invest in younger women. We also have intentionally formed a strong partnership with adults in our primary partner church by getting our students involved in some of the men’s and women’s events the church puts on. Informal mentoring relationships have been formed as a result of partnering in this way. This model of discipleship and leadership development is accelerated further and faster when in partnership with a local church. If you are in the process of starting a new ministry or growing a smaller ministry with limited resources, I would strongly encourage you to be slow about adding any additional programs to your structure. Just because someone has a good idea doesn’t mean you should do it! Work the process of what you have, or the addition of programs will work you. Momentum comes when you do a few things well over and over again, year after year. Are there any ministry events or programs that you need to evaluate, change, or cut out? 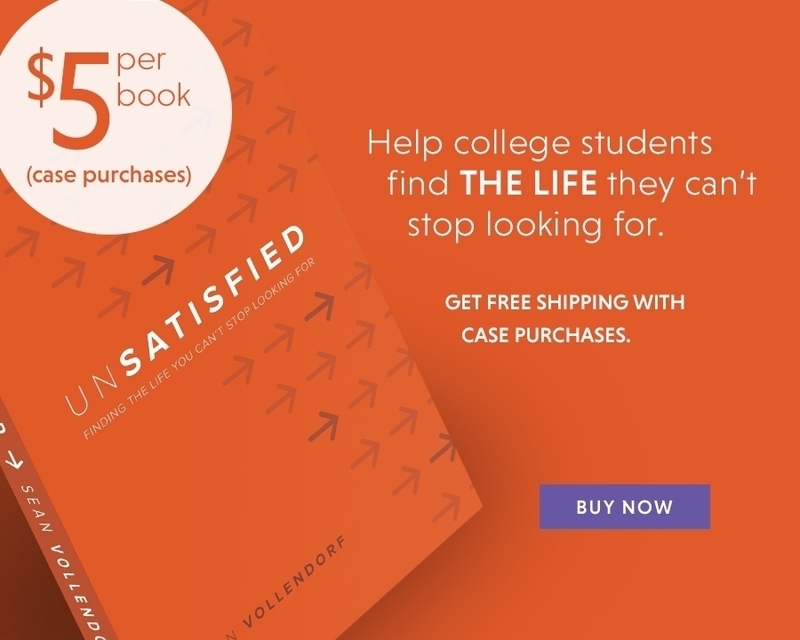 This article is originally found in Paul’s free ebook Do More With Less Time published by Collegiate Collective.